As you may be aware, Japanese society is contending with the combined societal challenges of an ageing population, low birthrate, and the decline of primary and local industries in a highly globalised world. This trend has also led to a significant and rising level of inequality between urban and rural areas in Japan. While Japan may be the first country to have to contend with these challenges on such a large scale, these same issues are in the pipeline for all developed and developing nations, the US included. We now know that the average age of the US rural farmer is about 57, and yet there are significant barriers for the next generation of young farmers who wish to access land. We here at Greenhorns know this as well as anybody else, our mission is to support and motivate the young farmers movement! 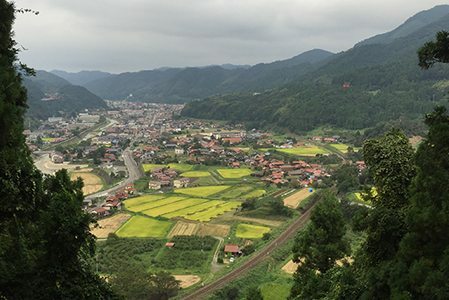 In response to these challenges, the Japan Society and the Japan NPO Center have joined forces for Resilient and Vibrant Rural Communities in Japan and the U.S., and are bringing together leaders from Japan and the U.S. dedicated to the revitalization of rural areas and small towns experiencing economic stagnation and declining population. Leaders from Japan will visit West Virginia, Ohio and Nebraska in the first stage of the project. Through the sharing of best practices that build back community resilience and vibrancy, the project contributes to leadership development through a unique international learning exchange and experience, and strengthens the work and impact of the participants’ organizations and their respective communities. On Monday, October 30, 6:30 PM, Japan Society will be holding an event in NYC to showcase the bold thinking and innovative solutions of Japanese entrepreneurial leaders in response to the demographic and economic challenges facing rural communities throughout Japan. They recognise and harness the potential of rural communities and have learned much along the way. The event will feature an engaging discussion with five leading Japanese changemakers and will be followed by a reception. The speakers include: Atsuhisa Emori, Taberu Journal League in Hanamaki, Iwate; Kenji Hayashi, FoundingBase in Tsuwano, Shimane; Ryoko Sato, Ehime University in Matsuyama, Ehime Prefecture; Tsuyoshi Sekihara, Kamiechigo Yamazato Fan Club; Joestu, Niigata Prefecture, and Junichi Tamura, Next Commons Lab in Tono, Iwate Prefecture. Moderated by Richard McCarthy, Executive Director, Slow Food USA.